Here is a ceremonial first pitch you don’t see everyday. 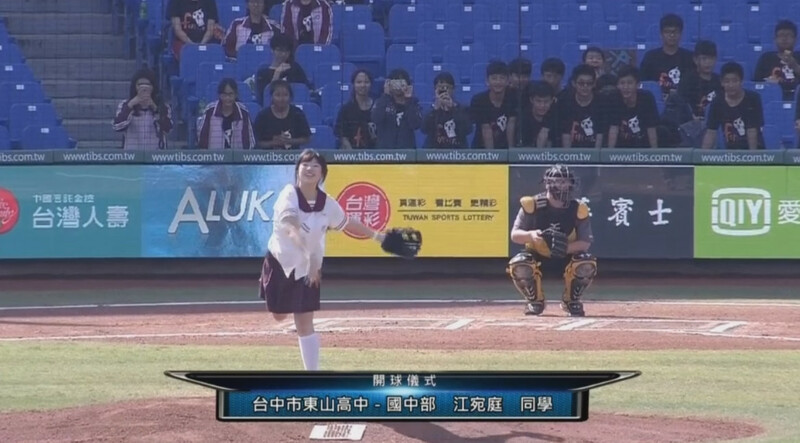 A Taiwanese middle school girl was invited to throw out the first pitch at the Asia Winter Baseball League. Maybe it was the sun, maybe it was her first time to a baseball game, or maybe she was paying tribute to Ivan Rodriguez. After her energetic dance performance, the young bubbly teen seems confused and processed to throw the baseball to the empty second base. The best thing about this was the ten seconds of pure comedy silence at the stadium. Shortly after followed by the “OK, thank you” from the PA system. The full video is available here. Or here is another angle of this pure comedy gold, footage taken by her friends sitting behind the home plate.